For many collectors, like Joseph Dunnigan, the M.U.S.C.L.E. commercials created incredible interest and excitement. According to the information provided by Nathan’s M.U.S.C.L.E. Blog this commercial (Invasion of the M.U.S.C.L.E. Things) was documented as airing in September of 1986. 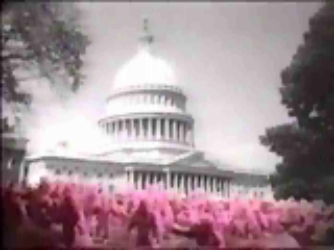 This commercial was likely shown simultaneously as the M.U.S.C.L.E. 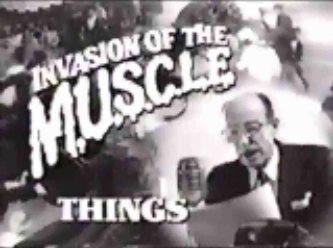 Invasion Update commercial, which was documented as airing in September 1985. While these dates are a year apart, the goal was likely to purchase advertising time on television relatively close to each other which allowed the two commercials to work in conjunction. It seems very likely that both of these commercials, and other advertising, started in late 1985. The M.U.S.C.L.E. commercials have clearly used Kinnikuman sculpts, similar to the Mattel Catalogs. These nearly interchangeable figures would have provided a seemingly perfect stand-in for the M.U.S.C.L.E. product which allowed for completion by the necessary date. 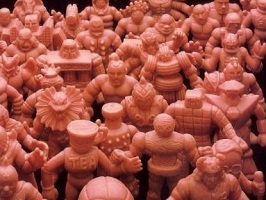 It is almost impossible to identify all of the Kinnikuman sculpts used in the commercials due to film quality alone. However, based on the pictures below it is clear that some Kinnikuman sculpts were used. The choices made about the direction of the M.U.S.C.L.E. commercials are especially interesting – but also seem to highlight the confusion that Mattel and their advertising agency had regarding the product. This commercial takes a B-Movie Monster theatrical trailer approach. Below are two examples of “B” Monster Movie trailers. Everything from the screams to the font highlights the major influence of these trailers. – Videos Posted on YouTube By captbijou. The influence of these trailers were mixed with the feel of an old-fashioned movie newsreel. – Videos Posted on YouTube By xmagicdustx & bigsugar316, respectively. The reporter in the Invasion of the M.U.S.C.L.E. Things commercial also acts as the narrator. A larger version of the commerical is avaiable at RetroJunk.com. – Videos Posted on PhotBucket By Gilgar. They’ve come to drive America nuts. There are hundreds of them. You have to (?) capture them! MUSCLE Things, hundreds of different – I don’t know whats?!?! They’re in packs of 4, 10, or 28. How many can you capture? For a child this vagueness was unlikely an issue. They simply saw the weird little monsters, however the M.U.S.C.L.E. packaging did not play up the monster aspect – instead it highlighted the wrestling aspect of M.U.S.C.L.E. figures. The advertising agency and Mattel both appear comfortable not committing to either genre. This lack of clear vision for the advertising seems to be another example of M.U.S.C.L.E.’s secondary status within Mattel as a flanker brand. 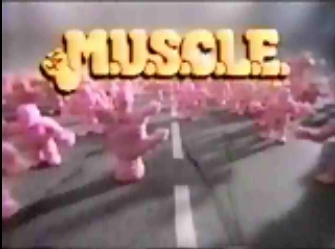 While these commercials may have created some initial excitement and interest, it was mostly likely the figures themselves that drove the success of the M.U.S.C.L.E. brand. When Mattel simply rehashed previously covered ground with their 1987 M.U.S.C.L.E. product line it is not surprising the brand was discontinued. This entry was posted on Friday, November 20th, 2009 and is filed under Advertising & Promotion, UofM News. You can follow any responses to this entry through RSS 2.0. You can skip to the end and leave a response. Pinging is currently not allowed. 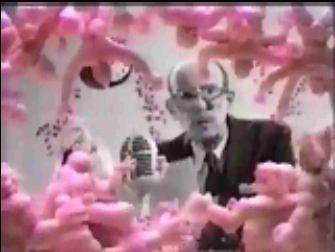 If you’re suggesting the messaging of this commercial suggests the M.U.S.C.L.E. figures are “taking over the universe,” then I heartily disagree. There’s actually nothing in the commercial to support that idea. Even if you’re suggesting the packaging and commercial work together, then I disagree again. The commercial, as the first one, needs to stand on its own – especially if the commercial isn’t going to feature the packaging once. The People vs. M.U.S.C.L.E. – Part 2 « University of M.U.S.C.L.E. Fashion 100 – Update « University of M.U.S.C.L.E.